About The Vino Fondo- Big Shark Bicycle Company and Sugar Creek Winery are bringing the European cycling tradition of the Gran Fondo cycling experience to Missouri's hilliest wine country. A traditional pairing of challenging riding and a tour of some of Missouri's best vineyards. Experience the same roads and towns visited by the internationally acclaimed Tour of Missouri Professional Cycling Race. The Vino Fondo is a fully supported, timed ride. Although not a race, all participants will receive two measures of their achievement: overall ride time AND their climbing time over the penultimate beast, the Schluersburg. There are three distance options, each tuned to maximize scenery and include as many of the regions challenging "topographic features" as we can find. We're crafty like that. About Gran Fondo's- Also called Cyclosportif rides, Gran Fondo's are challenging rides that combine the best elements of epic recreational rides, some of the characteristics of a race and the visual experiences of the touring cyclist. The Gran Fondo experience is a true melting pot for cyclists of all abilities- with one goal, the satisfaction of achievement. Early Bird Sign Up- Register before January 1st and lock in the Early Bird Rate! While there is no maximum age limit, participants must be over 16 years of age. There are no refunds- however entry/race bib is transferable. Three different routes. All rides start/finish at the same point and include the majestic Schluersburg climb. The Mondo Fondo- 104 miles, snaking from Defiance through the Missouri River Valley and back. With 5,042 feet of challenging climbing the grapes won't be the only thing whining. The Midi Fondo- 75 miles, 3651 feet of climbing. From Defiance, past Daniel Boone's home, up and over the historic route of the Missouri State Championship Road Race. The Mini Fondo-42.5 miles, 2,284 feet of climbing. For those looking for a less intense day with a few challenging climbs. Are you ready? Let Power Up Cycling help you make sure! 2 one hour, coached, power based indoor sessions each week at Power Up. 3 coached, 2-3 hour outdoor rides. A six-week personalized training plan that includes workouts for days that you are not training at Power Up. Returning and New Features For 2019! Based on feedback from last year's Vino Fondo we have made some changes to improve this year's Gran Fondo. This year the post Fondo meal is going to be prepared and served by the culinary all-stars from Pastaria and James Beard Award winning chef Gerard Craft. All participants will receive finisher pint glasses. Vino Fondo Jerseys will be available for purchase. Police support crossing Hwy 94 and Hwy M at Hwy 47. Volunteers at key intersections with secondary marking/wayfinding along the route. All rest stops will be course-side, in shade when possible with bicycle parking rack. Exceptional aid-stations sponsored by Hammer Nutrition, loaded with calories, nutrition + hydration. Century ride will have protein and electrolyte/salt supplements. All day in the saddle relief courtesy of the Midwest's very own Chamois Buttr. The Start/Finish will be at Sugar Creek Winery in Defiance, MO. Additional food items per rest stop. Email us with special requests! The New Vino Fondo Jersey is available pre event if ordered by March 1st (Post Event delivery after March 1st)! Click on the Jersey Style to order. Both Styles available in Men or Women's sizes. NEW COLORS, same sylte. Option 1 will be Orange/Black, Option 2 with be Black/Yellow. Below are 2018 colors for design reference only. The image below is of Alberto Contador on the Schleusberg doing an earlier version of the Vino Fondo. What to expect: Gran Fondos are 'competitive recreational rides' and attract recreational cyclists looking to push themselves as well as racers looking for a great riding experience. The roads will NOT be closed. The ride/routes will be open to traffic. All turns will be marked with signs and paint. Each cyclist will be given a cue sheet and maps of each route which are onlined (below). We encourage all participants obey traffic laws as well as be courteous to traffic and residents. Please adhere to the rules of the road and do not take unnecessary risks on descents and turns. A Gran Fondo event is chip timed. Every rider will receive two times, total ride time and their time from the base of the Schluersburg to the summit (2.9 miles). Riders of all abilities are encouraged to participate and push themselves. In Europe the Gran Fondo attracts a very broad group of cyclist- professional racers, amateur racers, weekend warriors, new cyclists and cyclo-tourists. The compelling elements of a Gran Fondo are the scenery and challenge alongside terrific athlete support and a memorable route. Rest stops will be spaced every 15 to 20 miles. Unlike a charity ride or other recreational rides the frequency of each rest stop is less than in a non-competitive event. Riders are encouraged to carry enough nutrition to manage themselves on route. We will make sure that there are several opportunities to take in enough nutrition to manage the day comfortably. The cycling friendly City of Warrenton has graciously offered up their City Hall Parking Lot (with restroom facilities) for the Mondo Fondo Warrenton Rest Stop. Cue Sheets with turn-by-turn directions and map. Pre-Race Energy Gels, Bars, Mix and Fruit. Rest Stop Support- Gels, Mix, Bars, Fruit, Water, PB and J, Pretzels. Additional food and supplements for Mondo Route. Mechanical Support and Sag Support, Cut Off at 5:00 pm. Stragglers: Riders finishing between 5:00pm - 6:00pm will recieve a bagged lunch. Note: We will not guarantee support or food after 6:00pm. Registrants after April 25th are not guaranteed an Event Shirt. Sign up early. The ride start will be Mass Start. Each rider will be chip timed. We will record rider times at the start, base of the Schluersburg and Summit of the Schluersburg. Timing chips are embedded in the seat post bib number- do not fold or crumple numbers- otherwise timing chips may be compromised. The Mondo Fondo 104 miles of some of the most beautiful riding in America, punctuated by some of the biggest and baddest climbs we can find. 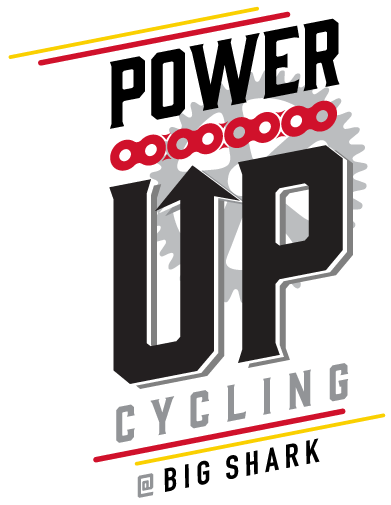 With over 5,042 feet of climbing and taking in many of the King of the Mountains points featured in the Tour of Missouri Professional Cycling Race, the Mondo Fondo route will be similar in difficulty to a true Tour stage. We recommend showing up prepared, this route is as challenging as it is scenic.Visiting some of the great towns of Marthasville, Treloar, Warrenton and Femme Osage. Multiple pitches as steep as 20%. The Midi Fondo 75 miles, 3651 feet of climbing, taking in several of the same KOM points as the Mondo route, this route follows the Mondo route to Treloar, Missouri and then finishes back at Sugar Creek Winery after summitting the Schluersburg. The last 30 miles incorporates some of the best paved scenic roadways in Missouri. Sat., May 11th 5:00 pm Mandatory Sag Cut-Off All routes. The Ride Start will be at Sugar Creek Winery. All of the rides will start at the same time- with the riders being staged according to distance and sequence of registration. ALL Parking and Pre-Fondo activities will be held on their campus. Adequate, convenient parking and facilities will be on site. From Highway 70 (from the East or West) take Highway 94 west for 20 miles to Defiance and follow signs to the winery. The winery is just past Defiance, MO on Hwy 94. Just a friendly reminder and common courtesy to our host, Sugar Creek Winery, no outside food and drink, please. The Vino Fondo is the 1st event in the MO FONDO series. Check out the two other Missouri Gran Fondos Here. Complete them all and score savings on the 2020 Vino Fondo (as well as other perks!). The Missouri wine industry in the new millennium is thriving. The number of wineries has jumped to over 65 and Missouri wineries are producing diverse, complex and sophisticated wines, wines that easily earn top awards in national and international competitions. The Vino Fondo will ride past and through many of the best wineries in Missouri.